As you probably know by now, I don’t like to use artificial dyes. I know it makes things really pretty with those really bright colors and all, but it’s just not in me to use them. 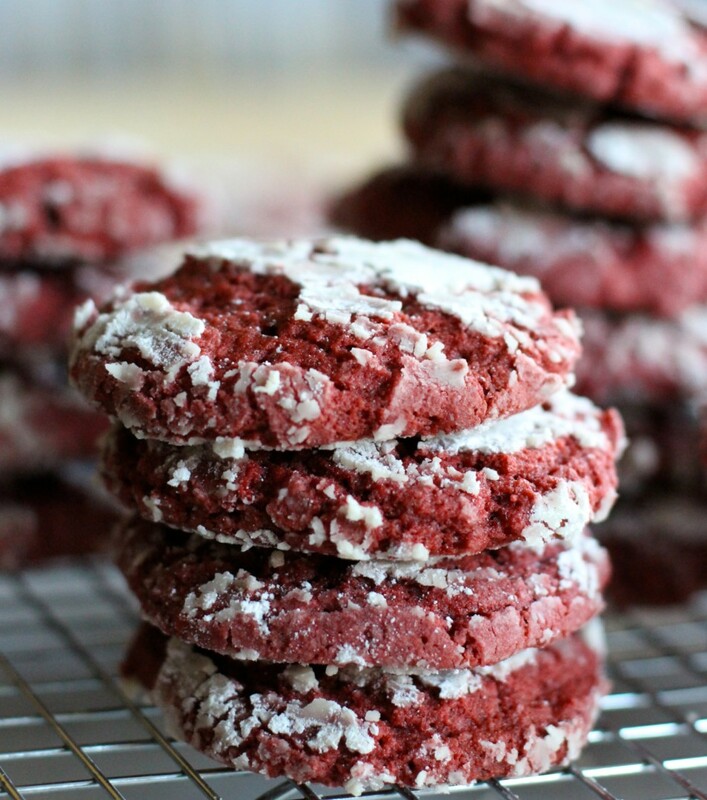 These red velvet crinkle cookies are not as bright as traditional red velvets, but they sure taste exactly like a red velvet and all the little cookie monsters in my house seem to agree. They think I didn’t notice those missing cookies on the rack, ha! Soft and chewy on the inside with chocolate chip crunch for texture (you can leave chips out if you prefer but I can’t imagine why) and crispy on the outside. Red velvet crinkle cookies are my new cookie recipe success. Hooray! The vegan cookies are slightly softer than the egg version so if you are shipping them be sure to pack them individually and bubble wrap around each as they are more fragile. You know how baking experiments can be. 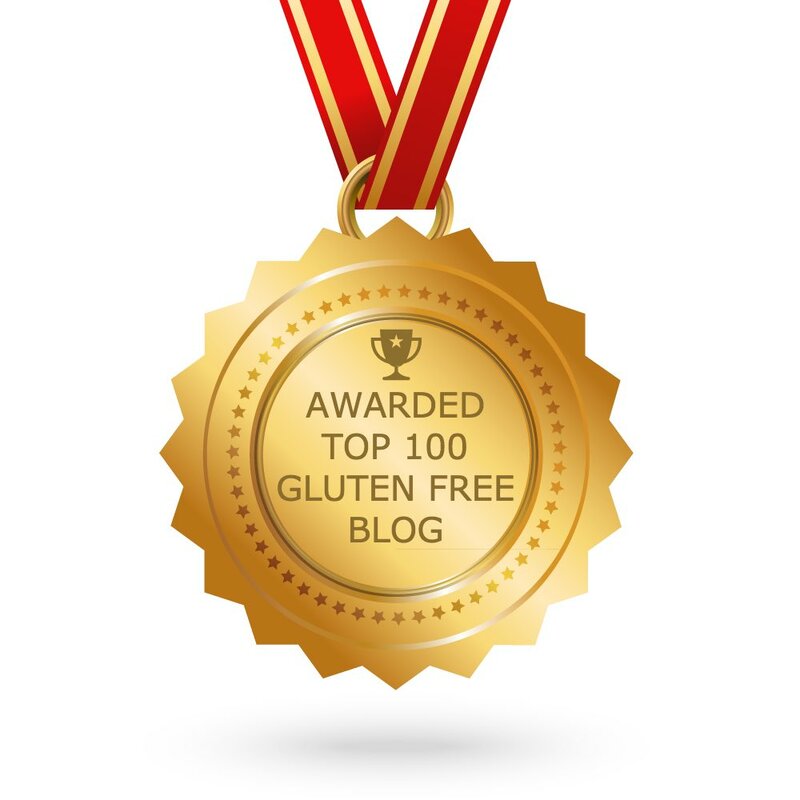 Ugh, God knows I have had my share of those on this allergen-free journey. 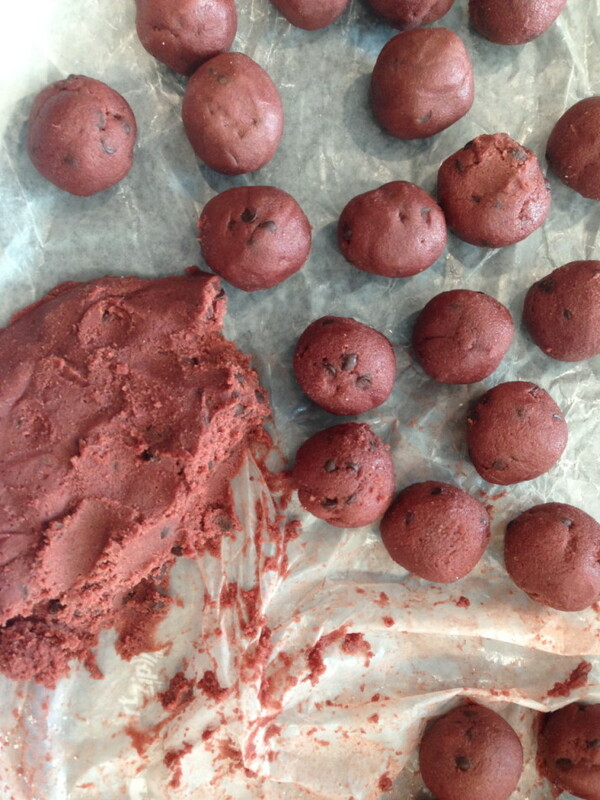 UPDATE, as noted in the recipe: These were made without rolling each into a ball … just scooped and dunk. Same results with less prep time. The vegan cookies look similar to the egg version but are slightly softer, so if you are shipping them be sure to pack them individually, and bubble wrap around each since they are more fragile. You know how allergen-free baking experiments can be. God knows I have had my share of those on this allergen-free journey. Give this recipe a try and let me know what you think. I thought they’re pretty darn good and so pretty to give. Enjoy! 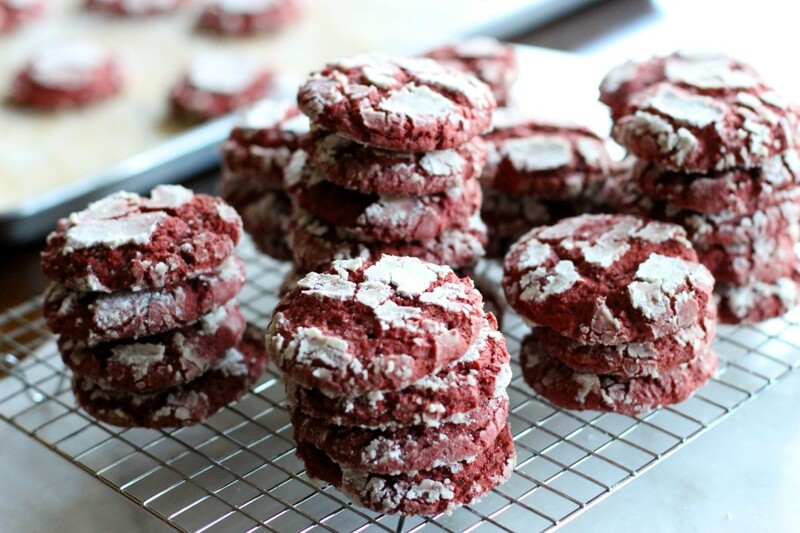 Red velvet crinkle cookies are as fun to make as they are to eat! I updated the recipe to make it easier to prepare with better results, yet just as delicious without gluten, dairy, soy, and egg for those intolerant to egg or are vegan. Also dye free! In a bowl combine flour, cocoa powder, baking powder, baking soda, and salt. Set aside. In a stand mixer set with the paddle attachment on medium high speed, beat non dairy butter and sugar until light and fluffy, about 2 minutes. Reduce to low, then add applesauce ¼ cup at a time, scraping down the sides of the bowl as necessary until well combined. Add vanilla extract, lemon juice or apple cider vinegar, and food coloring. Turn off mixer and stir and scrape down sides of bowl, then turn it back on to medium speed. Slowly add the dry ingredients and mix until most of the dry blend has combined. 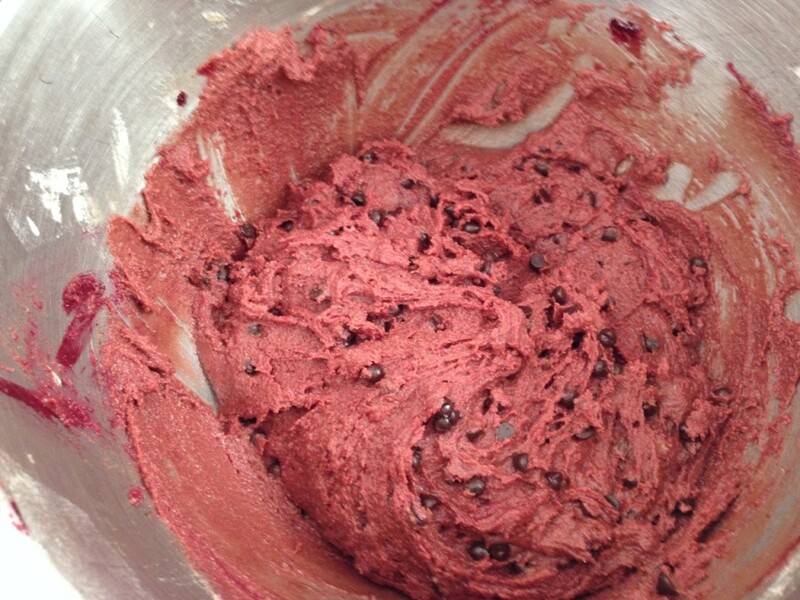 Turn off mixer and fold in chocolate chips. 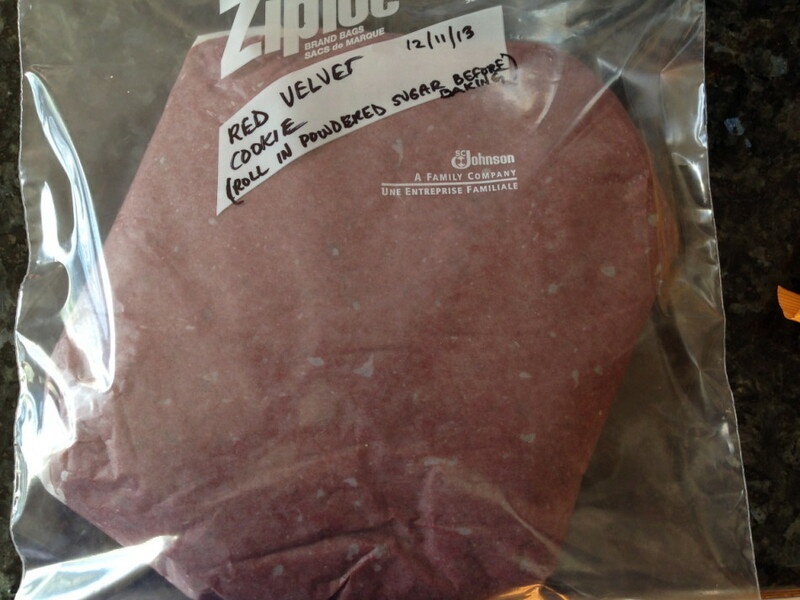 Cover dough with plastic wrap and refrigerator for at least 2 hours until dough is firm. Preheat oven temperature to 350 degrees F once removing dough from the refrigerator. Prepare baking sheets lined with parchment paper, or silpat - about 16 cookies per baking sheet. Using a mini ice cream scooper, (or just eye ball it to about 2 tablespoons) scoop cookie dough and place onto lined baking sheets. 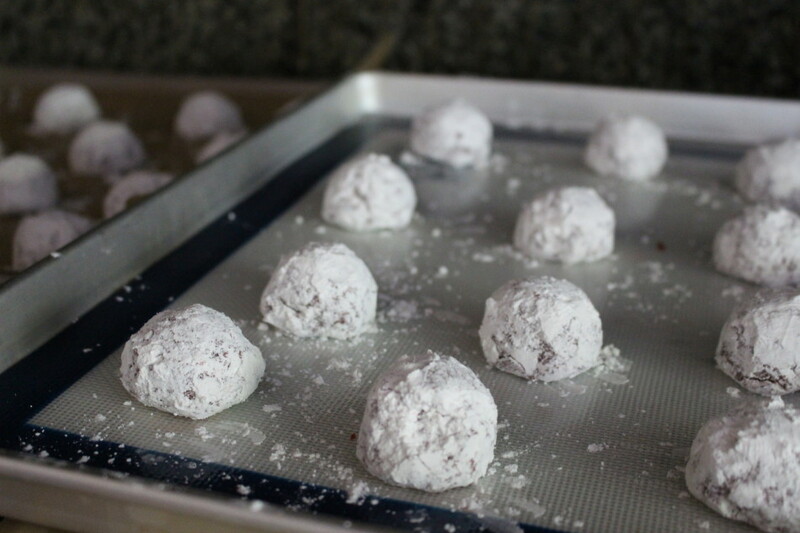 When all the dough has been scooped prepare a bowl of powdered sugar then coat each with powdered sugar doing a double dip to ensure a good generous coating of powdered sugar for a nice crinkle effect. Note: in the past I would roll each scoop into a ball then coat and press before baking. In my attempt to save time this year I skipped the rolling part and see it’s not necessary. The cookies will still be as pretty as ever without the additional rolling time. Place the coated cookies back on the parchment-lined baking sheets. 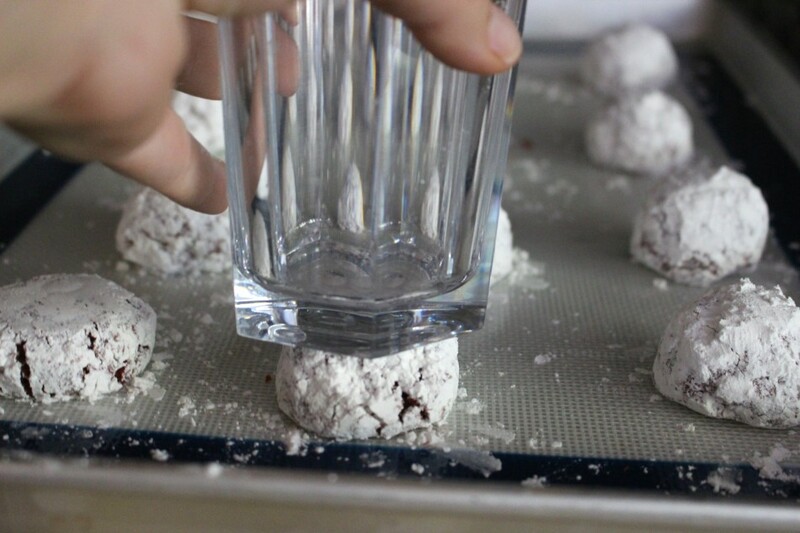 Gently (and very slightly) press down each cookie using the bottom of a glass or your palm. Bake for 9-11 minutes (add another minute for vegan cookies). The cookies will appear very soft but will firm up when completely cooled. Let the cookies rest on the baking sheets for 15 minutes or so, do not try to remove them while hot or they will fall apart. Transfer to a wire cooling rack to cool completely before storing. Store in an airtight container for up to 3 days at room temperature or a week refrigerated. 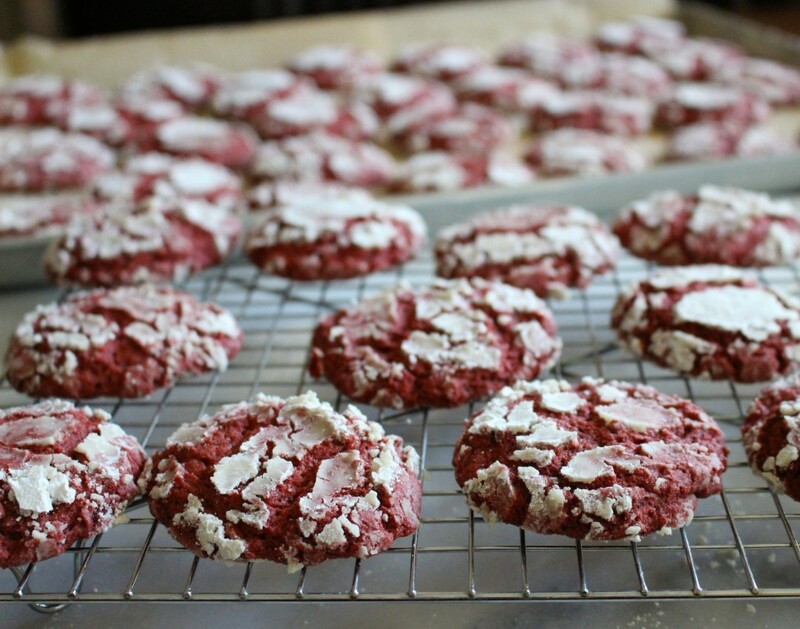 These freeze well for up to a month in a freeze-safe container with parchment paper lined between rows of cookies. I wrap my dough in wax paper (parchment paper will stick to the dough), put it into a freezer safe zip lock bag, then freeze. I thaw it in the refrigerator overnight then leave it on the kitchen counter (away from sunlight) for an hour or so before baking. 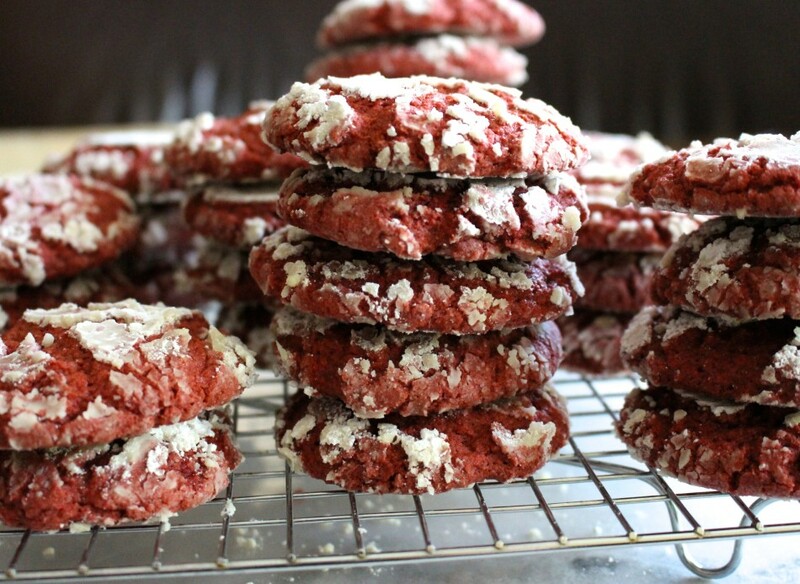 I find some of my best cookies are made from frozen dough left in the fridge overnight. If it’s a new recipe (like this) I will bake part of the dough the same day and freeze the rest to compare cookies. The first time I made these I found the ones I coated really well looked the prettiest. The ones that I lightly coated melted into the cookie, not very "crinkly" looking. For consistently perfect cookies I strongly suggest you keep an oven thermometer in the oven, actually not just for cookies, everything! It is one of the best tools to have! Note on flavor: Placing cookies directly onto aluminum pans can leach metallic flavor onto your foods, it also will absorb the neurotoxin aluminum. We certainly don’t need that. 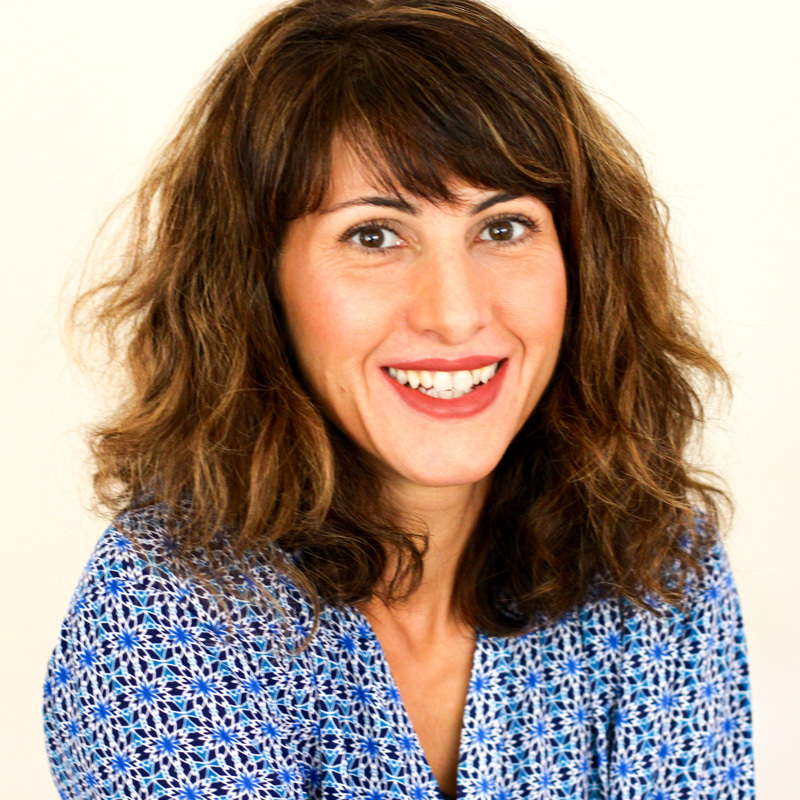 You are so welcome Rebecca, enjoy! 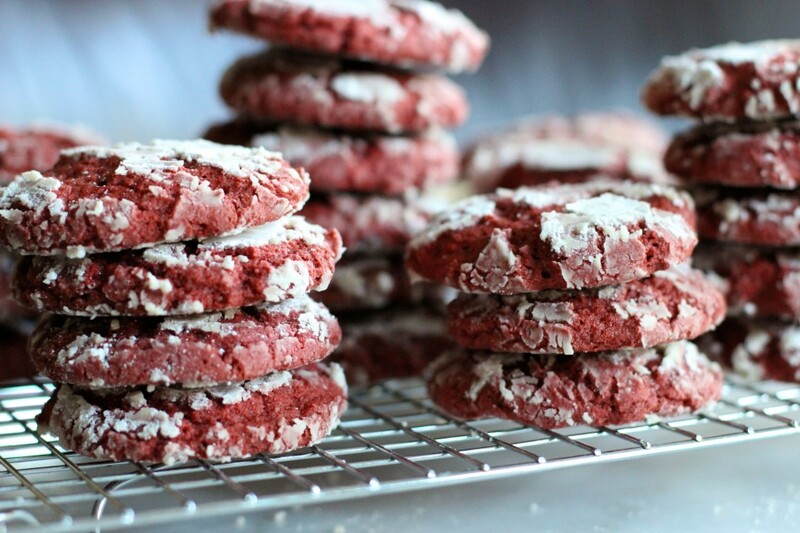 I have been looking for gluten free, vegan and dye free red velvet cookies on Pinterest and found you! Oh my gosh I am so excited to make this!!! Made the cookies and they turned out beautiful! I coated them really well and they crackled all pretty and taste lovely. I cannot wait to show them off tomorrow!